TRU stations find that fans tune in religiously each week to follow the progress of their hometown heroes. Interested In Broadcasting Our Show? Enhance Your Listenership. Rodeo is the number one spectator sport in the Midwest. The “Original American Sport” has built a massive fan base, especially in rural areas! 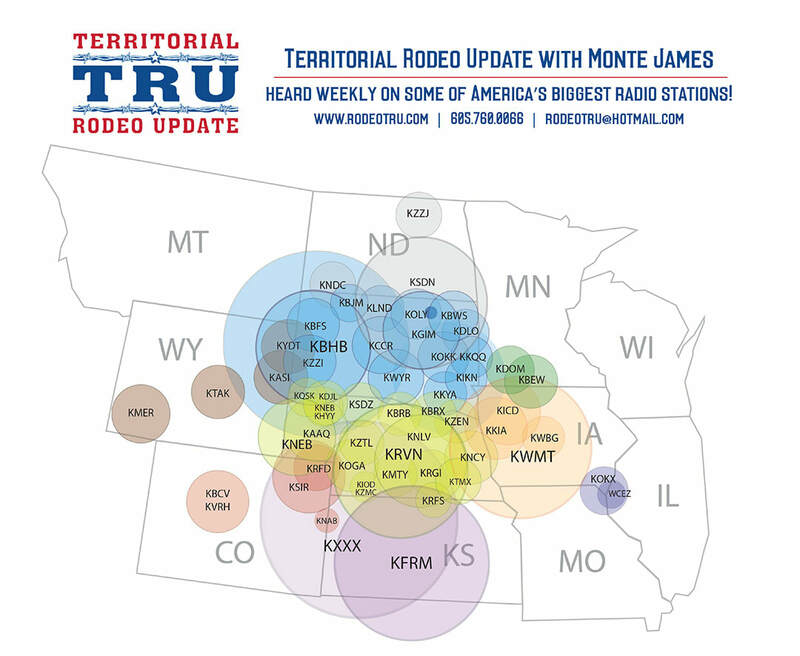 TRU stations find that fans tune in religiously each week to follow the progress of their hometown heroes. Decrease Your Workload. Spare your sports announcer the agony of following the standings, botching up names and attempting to follow all of the rodeo athletes. Roll In The Dough. Your station can bring in non-traditional income. One of our affiliates has raked in 5 sponsors for the TRU’s twice weekly airing harvesting an additional $12,000 of weekend revenue! Convenience. The Territorial Rodeo Update is produced each Wednesday via adobe edit “on the rodeo trail”. Our producer Mitch “the Razor” emails it directly to you each Thursday by 1:30pm. The update can also be downloaded online.